Í gær kl. 18:00 héldum við félagsmiðstöðvar Tjarnarinnar foreldrafund með foreldrum þeirra sem eru að fara á Samfestinginn. Við töluðum um fræðsluna sem allir Samfestingsfarar fá áður en er haldið á þessa risastóru hátíð. Fræðslan er samstarfsverkefni Samfés og Sjúkást sem er verkefni á vegum Stígamóta. 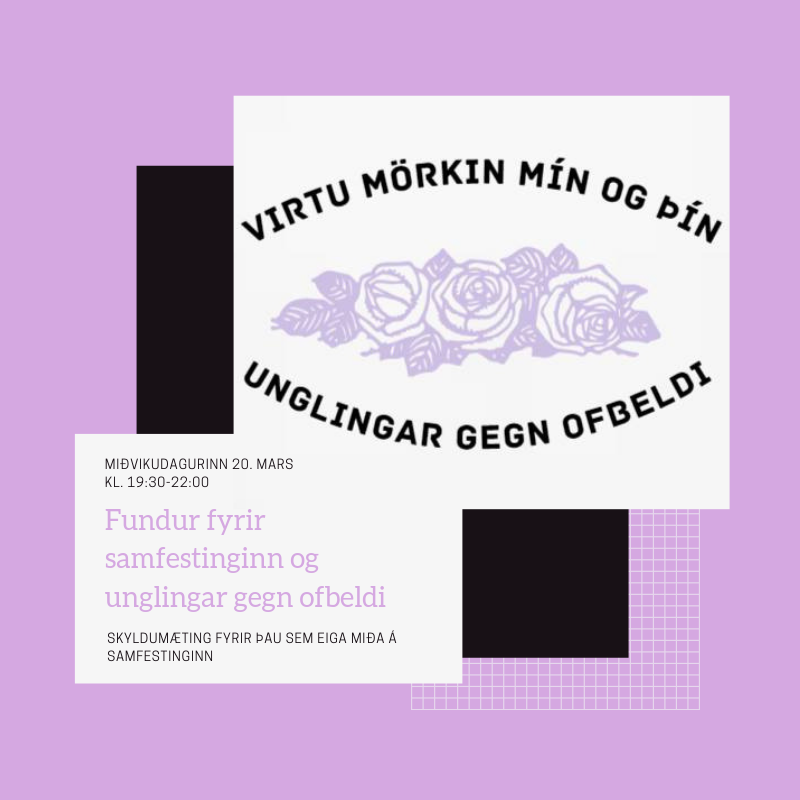 Fræðslunni er ætlað að vera forvörn gegn kynferðisofbeldi með því að fræða unglinga um hugtökin mörk og samþykki. 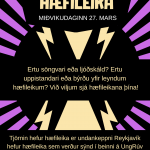 Áhersla er lögð á samskipti og að hjálpa ungmennum að þekkja muninn á heilbrigðum, óheilbrigðum og ofbeldisfullum samskiptum. Greinilegt var að foreldrar voru virkilega áhugasamir um fræðsluna og vildu gjarna fá umræðupunkta til að geta haldið umræðunni á lofti heima. Í fræðslunni eru teknar fyrir dæmisögur þar sem unglingarnir eiga að máta sögurnar inn í sambandsrófið og reyna að bera kennsl á hverskonar samskipti eru að eiga sér stað í dæmunum. Voru samskiptin heilbrigð, óheilbrigð eða ofbeldi? Þessi dæmi tala beint inn í raunveruleika unglinganna og hvetjum við þau að máta sín samskipti inn í rófið. 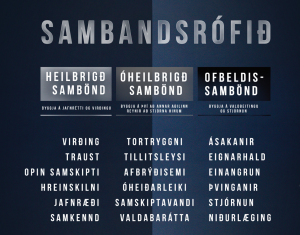 Ef einhverjar spurningar eru má endilega hafa samband við starfsfólk félagsmiðstöðvarinnar. 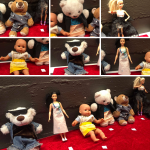 Annars viljum við hvetja foreldra og forsjáraðila að skoða http://www.sjukast.is , sjuk.ast á instagram, unglingargegnofbeldi á instagram, favitar á instagram og að horfa á þetta myndband. Yesterday at 18:00 we the youth clubs in Tjörnin had a meeting for the parents and guardians of those who are going to Samfestingurinn. We talked about the workshop that everyone going to Samfestingurinn has to go to before we make our way to this huge festival. The workshop is a cooperation between Samfés and Sjúkást which is a prevention program by Stígamót – counselling and education center on sexual violence. The goal of the workshop is to prevent sexual violence by educating teenagers about boundaries and consent. The focus is on communications and helping youth to distinguish between healthy, unhealthy and abusive communications. It was clear to us that the parents and guardians were really interested in the workshop and wanted to get discussion points for them to continue the discussion at home. In the workshop we have examples of communication and what we call the relationship spectrum and the teenagers are supposed to try to identify what kind of communication is taking place in the examples. Were these examples of communication healthy, unhealthy or violent? These examples speak directly into the reality of adolescents and we encourage them to look at their own communication and see where it fits into the spectrum. If there are any questions do not hesitate contacting the employees of the youth club. We also wanted to encourage parents and guardians to look at http://www.sjukast.is , sjuk.ast on instagram, unglingargegnofbeldi on instagram, favitar á instagram and to watch this video.